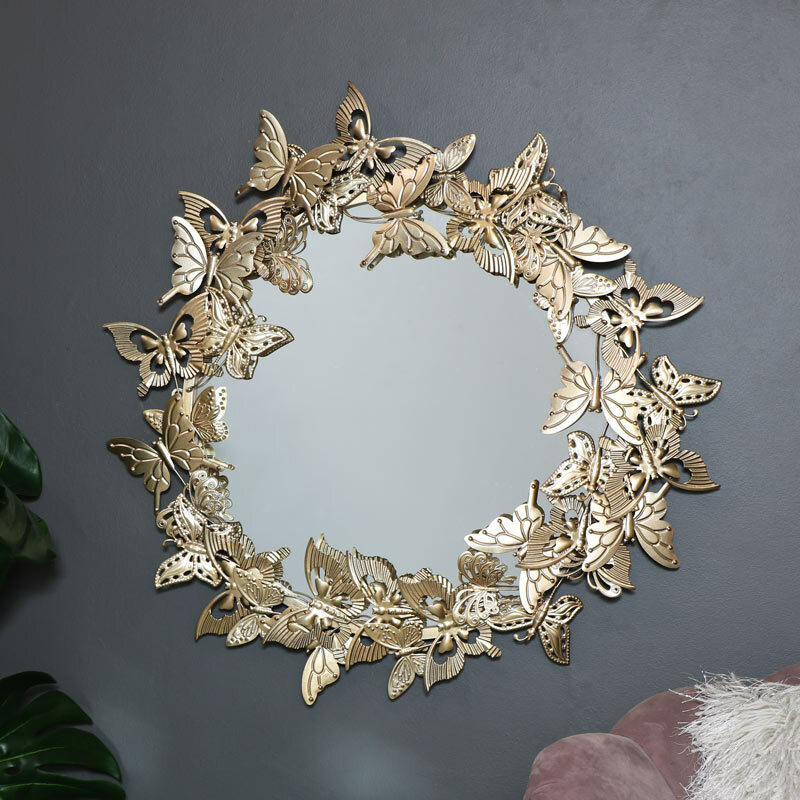 This is a mirror that will add the 'WOW' factor to a room, beautifully ornate with a round frame decorated with golden butterflies. This mirror will look perfect no matter where you place it, perfect for creating a statement in the living room or hallway or a very glamorous bathroom mirror. Painted in gold to give a vintage and ethereal feel. The butterfly figures come in an assortment of designs that make the design stand out even more, ideal for a girly bedroom or anyone that loves butterflies. This mirror will also make a pretty vanity mirror for the bedroom, wall mounted above a dressing table for a glamorous, boho look. 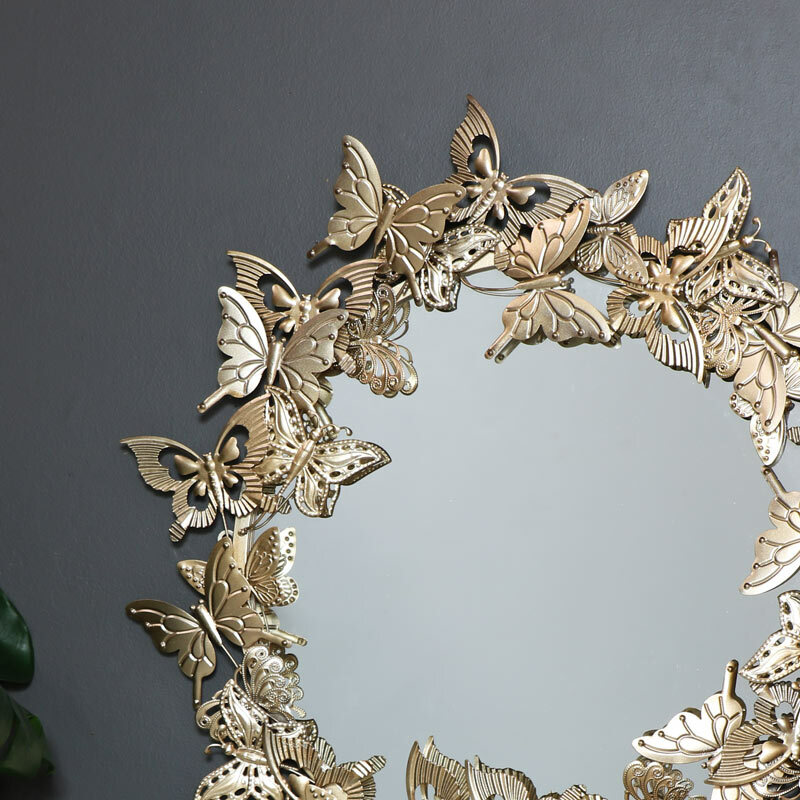 This is a mirror that will add the 'WOW' factor to a room, beautifully ornate with a round frame decorated with golden butterflies. This mirror will look perfect no matter where you place it, perfect for creating a statement in the living room or hallway or a very glamorous bathroom mirror. Painted in gold to give a vintage and ethereal feel. The butterfly figures come in an assortment of designs that make the design stand out even more, ideal for a girly bedroom or anyone that loves butterflies. This mirror will also make a pretty vanity mirror for the bedroom, wall mounted above a dressing table for a glamorous, boho look.